There's a certain European 'thing' going on at the moment that's taking up a lot of people's attention. However, we feel strongly that there's another European 'thing' that should instead be in the forefront of people's minds - our European map. Yes, we're delighted to be able to tell you that we've developed a European map layer for PoliMapper, giving you the ability to communicate European data more effectively. Take a look at our first client's European map, the European Cream Tea Association (NB. 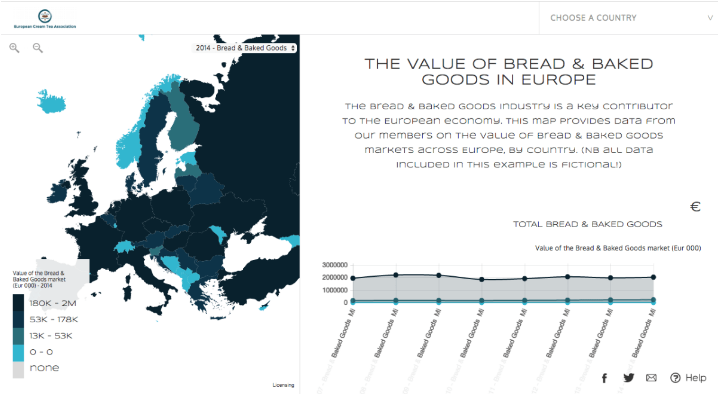 the organisation and its data is entirely fictional), who are 'using the map to communicate the value of the bread and baked goods industry and their members to the European economy when engaging with stakeholders'. Explore our map and drill down into the data on the value of the cheese twist, cronut, crumpet and scone markets in each European country.